At Punky Brewster, we try to encourage sharing and variety. Especially when the boss is shouting. 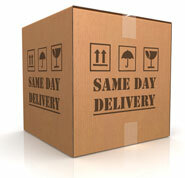 As a result, we've opened up a delivery service to Christchurch businesses for the standard after work Friday drinks. Pick and choose from the What's Pouring? list and we'll deliver direct to your (fridge) door! To find out more, or to organise a delivery, just give us a call during our ﻿opening hours﻿ or use the contact form below!